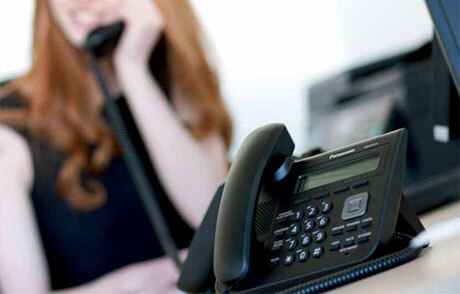 Atlas works in partnership with the big two names in telephony, Panasonic and NEC. Our systems are extremely reliable. Serious faults and downtime with our installations are rare which is why we highly recommend, ideal for any small business who cannot afford to be without telephones for any period of time. Our telephone systems start from as little as £35pm which includes installation and ongoing maintenance for full peace of mind. Upgrades are also cost effective when compared with our competitors. Our systems are simple to upgrade and are scalable to accommodate even the largest businesses. Upgrades are also very cost effective when compared with other competitors. Our systems allow you to use customer music on hold which can be scripted and professionally recorded by Atlas Telecommunications using our own voiceover actors. Each extension comes with its own voicemail inbox which can be activated on your handset. You can also setup voicemail boxes for groups or for out of hours services where required. Our systems will allow you to integrate your computer desktop with your phone to provide a number of additional features to your telephone system.